Nisses Music - Sound Match is a game featuring Sound Match, Groovebox and an awesome Augmented Reality mode. Made for family and kids as a fun play and learn experience in the wonderful world of Nisse Playful. Create your very own sound match games and record tons of wicked and cool sounds. Welcome to the sound playground! 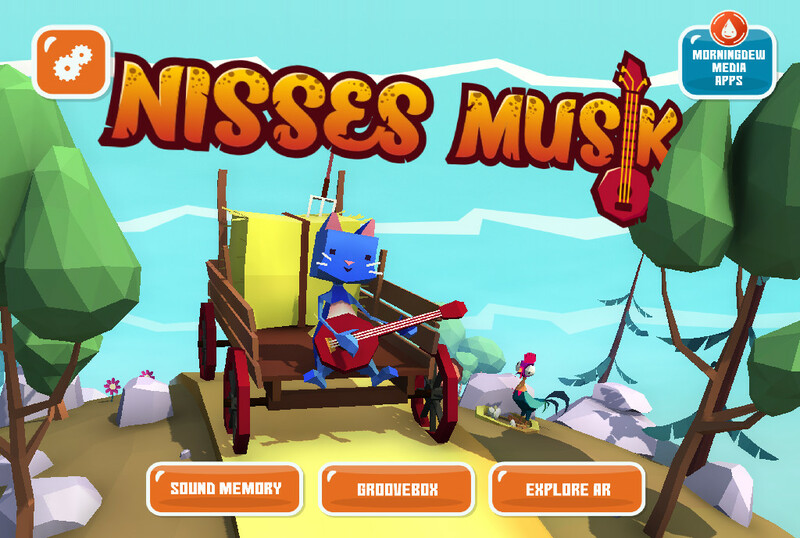 Nisses Music - Sound Match is a brand new sound game from Morningdew Media with Sound Match, Groovebox and an awesome Augmented Reality mode. Made for the family, kids and young adults as a fun play and learn experience in the wonderful world of Nisse Playful. Practise your sound recognition memory with the Sound Match game. Create your very own unique sound match games in the new "My Sound Match" mode. Record kitchen, garage and garden sounds to create a set of different sound match games and try them on your family and see if they can beat your record time. We have great video tutorial on how My Sound Match game mode works. Unleash your creativity in the Groovebox and explore rhythmic and melodic ideas with simple gestures and input. Learn what different instruments sounds like and how you can shape songs with them in a clean and simple interface. Create modern and cool grooves with an array of sounds to choose from, save and load patterns in realtime. Make Nisse a part of your livingroom with the augmented reality mode. Can you find the hidden easter eggs? * Sound Match game with up to 32 cards. * Record sounds and create your own sound match games. * Groovebox step sequencer with tons of sounds to play with. * 18 instruments to unleash your creativity. * Augmented Reality mode with hidden secrets. * English, Swedish, German, French, Finnish, Japanese and Chinese language. Nisse Playful educational app for children and kids, where they will discover colors, forms and numbers. Fine motor skills training while taking taking care of Nisse the cat. Count cookies, fruits, bugs, flowers and much more. Nisse Playful is an app for children and kids, where they will discover colors, forms and numbers. Fine motor skills training while taking taking care of Nisse the cat. Count cookies, fruits, bugs, flowers and much more. Nisse tells you what he wants in his bowl, and you drag the correct item / items to the bowl. Fix Nisses fence with different forms; like triangle, square etc. 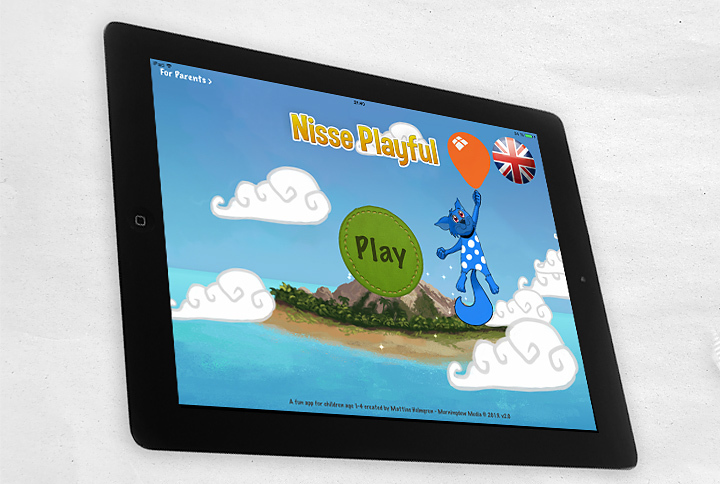 From the creators of Nisse Playful, a brand new educational app! This time we focus on mathematics. In the spirit of "Nisse" we set a calm pace so that children can solve the tasks without a ticking clock. Go exploring in a fairytale forest where you encounter different math problems to solve. The game is divided into 10 difficulty levels. From simple addition and subtraction to more difficult multiplication and division. In the game there are many fun elements to compliment the adventure and motivate kids to continue the trip. Play melodies in the menu with different instruments, switch hats by tapping on your figure (if you collected some hats) and more. * Supports English and Swedish language. Explore a fun aquatic runner game where you collect epic treasures. Join Nisse and travel deep into the unexplored areas of the ocean. Beat your friends (and yourself) in the distance record. Upgrade to new exciting subsurface vessels and get help from your animal companions. Luminati is an award winning connect four game with powerups and full game center support, now available in a special iPad version. Enchanting visuals, cinematic music and dynamic sound gives you a unique board game experience.